London (AFP) - Rockets capable of hitting deeper into Israel than ever before and naval commandos launching a beachhead assault show that Hamas has increased its capabilities with help from Iran and Syria, analysts said Wednesday. The last Israeli offensive against Gaza was meant to have degraded the Palestinian militant group's capabilities but less than two years later, Hamas is firing new longer-range projectiles, they said. 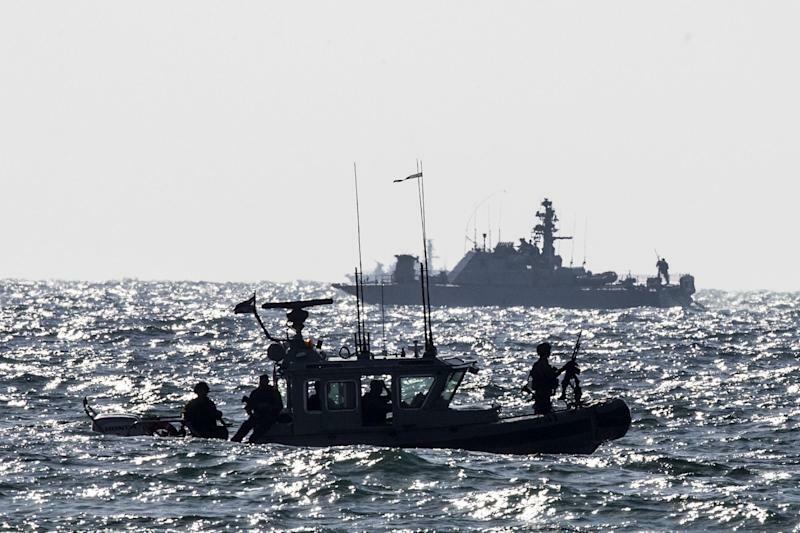 An "unprecedented" attack by four Hamas militants who emerged from the sea to attack an Israeli military base shows the group is also trying to break the naval blockade of the coastal enclave. "Hamas were very badly damaged by the Israeli defence forces back in 2012, but since that time they have been re-equipped significantly by Iran and also by weapons from Syria," Colonel Richard Kemp, of the Royal United Services Institute think-tank in London, told AFP. 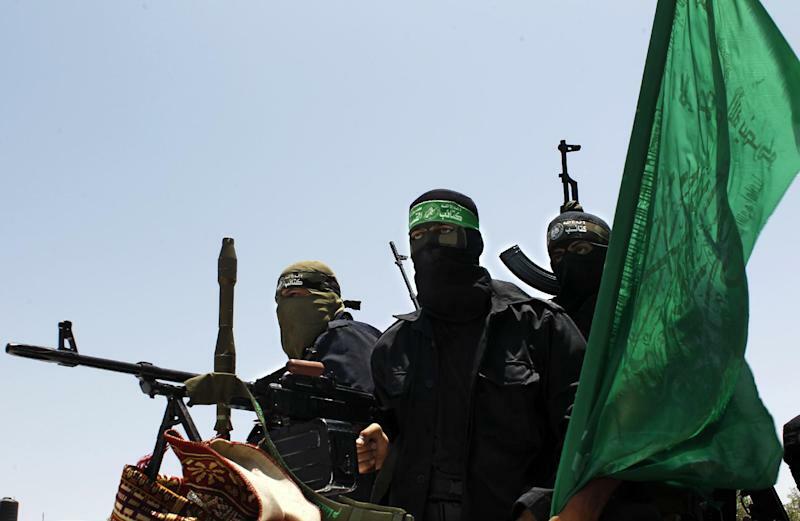 The main weapon employed by Hamas and their armed wing, the Ezzedine Al-Qassam Brigades, is an arsenal of unguided rockets. Hamas was believed to have had 10,000 rockets before the 2012 confrontation, and it is unclear how many are left, but Firas Abi Ali of analysts Country Risk IHS said they still likely had "thousands". As in 2012, they include Iranian-made Fajr-5 missiles with a range of 75 kilometres (46 miles) and Gaza-built M75 rockets with a range of 80 kilometres -- both of which can reach Jerusalem and Tel Aviv. But Hamas has since acquired Syrian M-302 rockets which have a range of up to 160 kilometres. On Tuesday, one of these hit the town of Hadera, 116 kilometres north of Gaza, while on Wednesday Israeli media reported that two had crashed into the sea near the port of Haifa, 165 kilometres north of Gaza, which if confirmed would be the furthest a rocket from Gaza has ever travelled. Crude Qassam rockets have a range of four to 15 kilometres. The rockets are all unguided but the sheer intensity of the barrages is aimed at "overwhelming" Israel's Iron Dome missile defence system, said Ali. "Hamas has been able to, over the last couple of years, increase not just the number of rockets that it has, but the frequency of its rocket fire," he told AFP. Most of the rockets are believed to have been smuggled through tunnels into Gaza but others came in by sea while still more were being made in the strip itself. Meanwhile the seaborne Hamas commando attack was a further surprise. "This is unprecedented," said Ali. "This suggests sophisticated training, sophisticated planning, good intelligence on the Israelis and the ability to maintain tactical surprise." Iranian equipment or training was likely involved, added Kemp. Figures for Hamas's military strength are also unclear, but the International Institute of Strategic Studies think-tank's Military Balance 2014 assessment said the Al-Qassam brigades had around 10,000 members while Hamas internal security groupings number around 12,000. Analysts said Hamas and its backers had a clear aim for their military build-up: to drag Israel into a ground war. "The escalation that Hamas has engaged in seems to be intended to draw Israel into a ground offensive in Gaza, in which Hamas hopes that it can inflict a heavy number of casualties," Ali said. 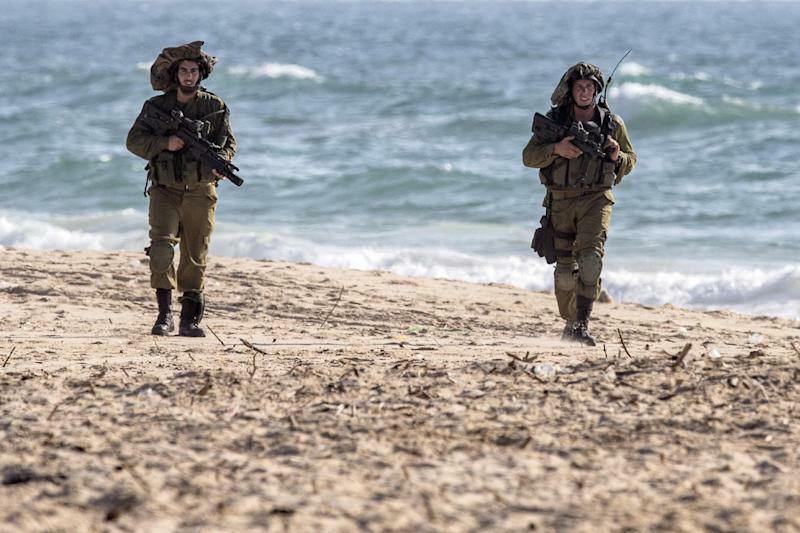 Israeli forces entering Gaza would face likely attack by Hamas anti-tank weapons, including Kornet missiles used by Hezbollah in the 2006 Lebanon war, and improvised explosive devices, analysts said. There would also be a possibility of capturing Israeli soldiers for prisoner swaps. Meanwhile the wider Middle East situation had a bearing on the Gaza build-up, analysts said. Iran and Hamas fell out over Tehran's support for President Bashar al-Assad's regime in Syria but there had been a recent "rapprochement", especially after Hamas's allies the Muslim Brotherhood were driven out of power in Egypt last year, said Kemp. Syria meanwhile remains a source for the weaponry even if some of the advice is from Iran. Israel would also be closely watching for any potential future links between Hamas and the Islamic State jihadist group, which has conquered a swathe of Iraq and Syria. "There are certainly groups linked to the Islamic State present in Gaza," said Kemp.